Front Range Nuclear Services really is your one-stop medical imaging solution for all your imaging equipment needs. 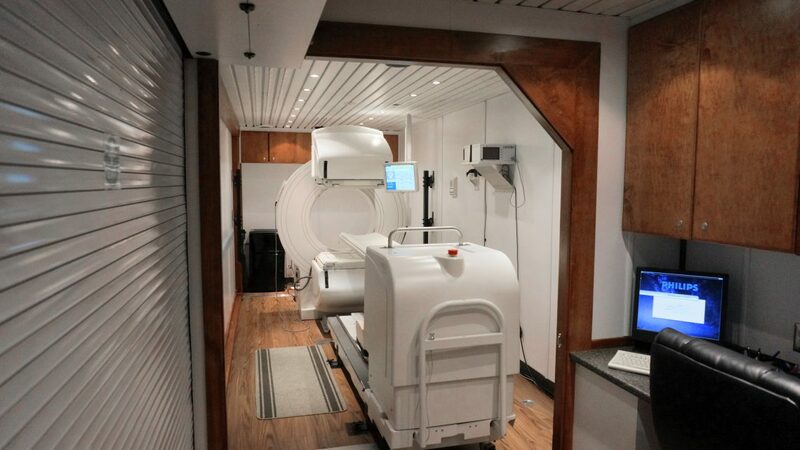 Our fleet of specialized vehicles, built specifically for the transportation of medical imaging equipment, allows us to meet your needs no matter where you are located in the United States, Canada, and Mexico. Our professional delivery and set-up staff provide you with peace of mind when it comes to knowing your order will arrive on time and with unparalleled reliability. Once on site, our team will provide training and answer questions to make sure you are ready to start providing nuclear imaging services in the shortest time possible. All delivery and set-up fees are included in our no-nonsense, all-inclusive agreements. Let us prove why we are the best providers of mobile nuclear imaging equipment; contact us today or refer us to a colleague.